This case study was provided by Shelagh Toonen, Librarian at Elgin Academy. The librarian introduced the Paired Reading Scheme to Elgin Academy in 2012 and its benefits are acknowledged within the school community. 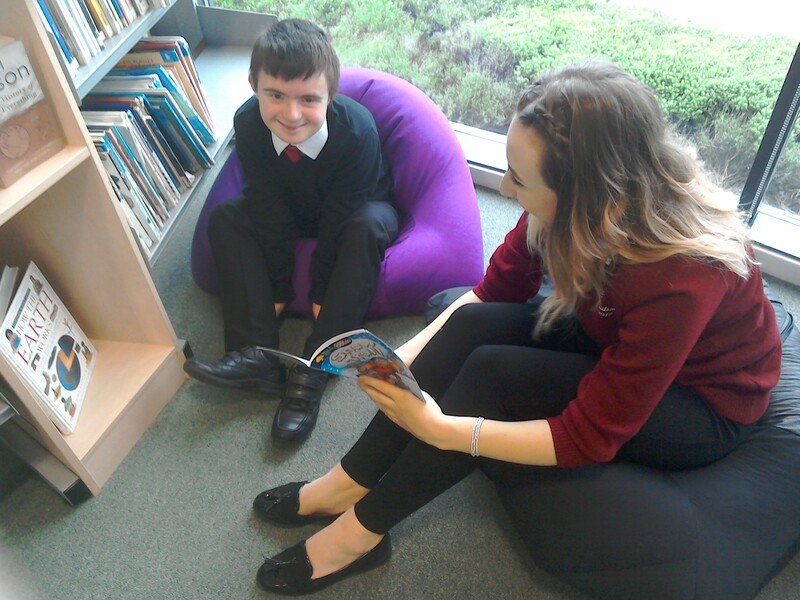 The S6 students are paired with younger pupils in S1, with the aim of encouraging reading fluency and comprehension. This sharing of books and reading takes place in the library. At the end of the academic session, the librarian interviews the outgoing S6 students about their experience of the Paired Reading scheme. They are interviewed on film and this is used during the induction day for the new S6. The younger pupils are also interviewed and their responses are used to develop the scheme. The librarian hosts a thank you party for the outgoing senior students with, a now annual, book cake for all to enjoy. Karen Grant, Depute Head Teacher.